Vancouver is a geographically stunning city where the coastal mountains of British Columbia meet the Pacific Ocean. The city is blessed with many beautiful natural sandy beaches which offer a great place to relax during the warmer summer months. 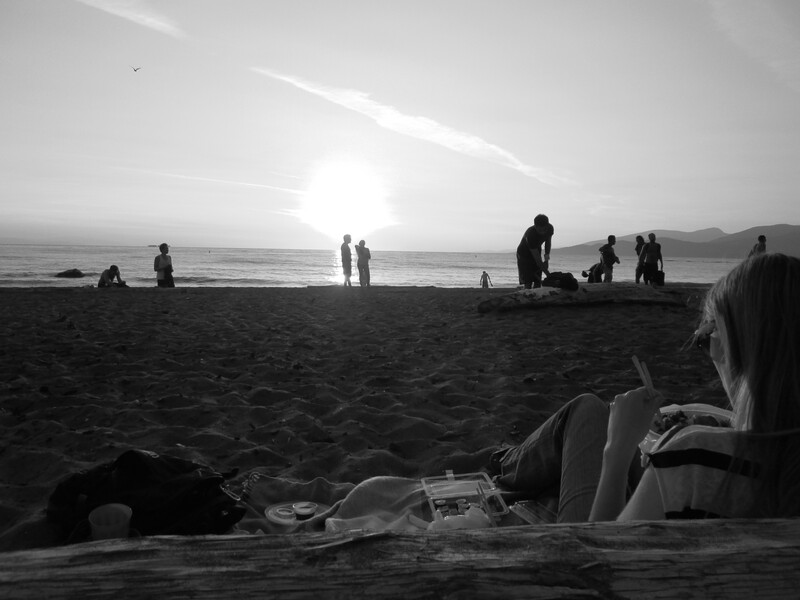 One of the city’s most famous beaches (for reasons which will become clear as you read on) is Wreck Beach which is situated about 25 minutes’ drive from Downtown Vancouver on the University of British Columbia (UBC) peninsula. Situated on the headland where the giant UBC campus sprawls, this place has a reputation for being Vancouver’s only clothing is optional beach. 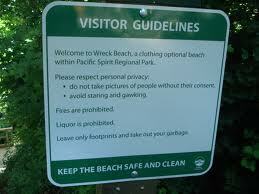 The Wreck Beach Preservation Society has more information if you want to know a little more about the naked truth. 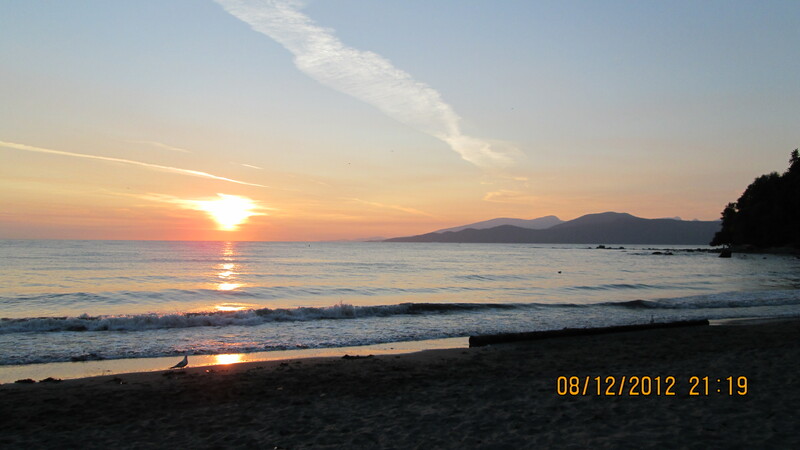 The beach offers some of the cleanest sea water to swim in around Vancouver given its distance from the ports and exposure to the currents / tides. Just be ready to brave a sea where the mercury reaches a maximum of 16 degrees in September! 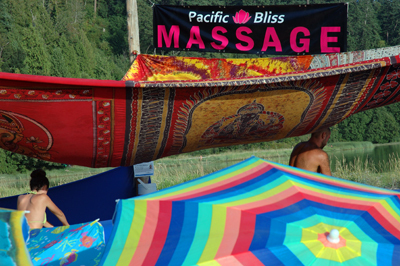 The beach has a certain chilled and relaxed vibe, promoted by its liberal occupants! Finding the entrance to Wreck Beach can be a challenge given that it’s somewhere on the huge UBC campus and the beach itself is about 200m below the level of the road! For those of you who are bright enough to print out a map, it’s actually located at the bottom of trails 3, 4 or 6 just off NW Marine Drive. It can also be a challenge finding somewhere to park given the popularity of the spot on a warm’s summer’s evening. With all street parking taken we eventually stumbled upon a UBC car park which costs $6 for as long as you like after 5pm. The next obstacle to our treasure hunt was to navigate the 300 (slight exaggeration but who’s counting when you’re gasping for air) steps down to the beach. Top tip, leave the cool box at home and bring a rucksack, you will appreciate it on the upward return leg especially if you’re heading home in the dark with lots of other sunset seekers! This beach has a reputation as a party place – this was confirmed when we observed 15 guys dressed in mankinis doing all sorts of circus tricks. As a result the 6 police officers walking in military formation checking cool boxes for illegal liquor was not unexpected. 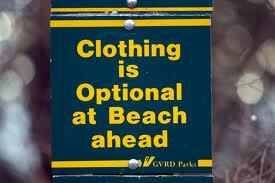 The beach has a policy of optional clothing – try to stick to beach etiquette which is signposted as you enter the site! 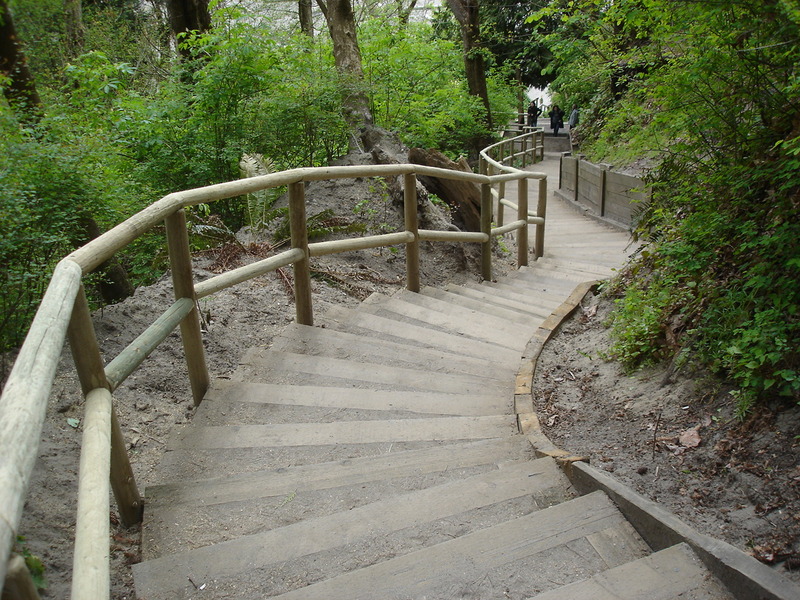 Facilities – there is a small food cart at the top of the steps, but nothing at the beach front 200m below. As for the washroom, lets just hope you have had all your injections recently…these portaloos are NOT recommended under any circumstances! 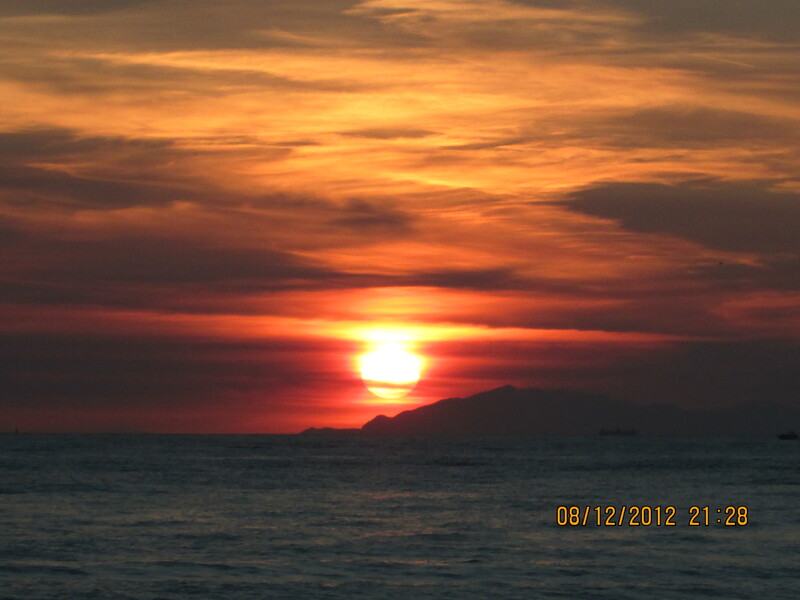 Don’t forget your camera to capture the spectacular sunset, but be careful what you snap!